It was a beautiful evening. 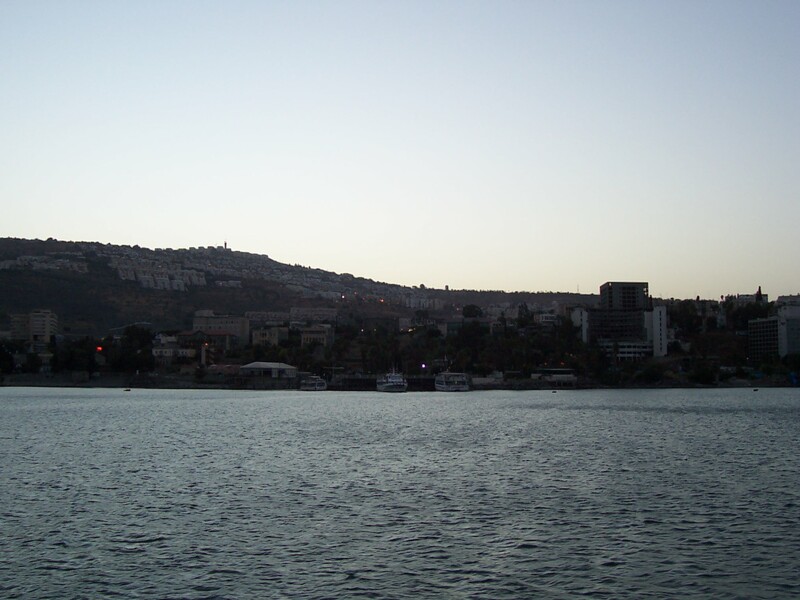 The captain had just cut the engine and we marveled at being out in the middle of the Sea of Galilee. The stars shone brightly and the lights of Tiberias, Capernaum, Tabgha and the other Galilean towns flickered in the background all around us. Everything was still. Tears started to form in my eyes as I thought about my mother and how she had planned to take this trip. It had been her dream to walk in the footsteps of Jesus. Her tour was booked and she was anticipating the adventure of visiting the sites of Israel. Little did she know then, it would be done through her daughters’ eyes. She would take a journey, but it wasn’t one that she had expected this early. I held my sister’s hand as a verse popped into my head. “Be still and know that I am God.” It was a verse we had repeated frequently over the last year. It’s such a simple command, yet so complex. How do we “be still” and “know God” in an age where everything is moving so quickly around us that we can’t keep up? We have fast food restaurants, cell phones, text messaging, internet, credit cards, on-line shopping, etc. We are constantly trying to keep up with everyone around us. We get over-involved in the church, our children’s school activities, sports, computer games and television. We are working extremely hard to afford the biggest houses, but we’re never home to enjoy them. When will it stop? Even though this was an extremely difficult journey, God taught me to wait upon Him. I realized I couldn’t control what was going to happen to my mother and after a heart wrenching conversation with Him, I finally gave in. He loved her more than I did. He taught me to savor every moment I had with her. I also realized I hadn’t been spending the time with God I should be. I wasn’t being still. I was too busy trying to get things done around me that I forgot about Him. He wanted my attention and it was time for me to give it to Him.